For the past several years many Americans have put their next European vacation on hold. With the US dollar in the tank and the cost of flights skyrocketing, a trip to Europe has felt like an extravagant and unnecessary luxury for much of the last decade. Gone are the late 1990s when the dollar reigned supreme, airline tickets were only a few hundred dollars, Eastern Europe hadn’t yet adopted the Euro, and half liters of beer could be had in the heart of Prague for less than a quarter. However, in the last year the dollar has made some modest gains against the Euro, and a slew of cheap airfare options have entered the market. All inclusive family vacations and travel destinations such as Paris, London , Vienna, Berlin and Barcelona remain difficult on a modest budget; but there are plenty of cheap travel destinations in Europe where one doesn’t have to live the life of a miser. Ljubljana is undoubtedly one of the world’s most picture perfect cities-a clever mix of cobbled streets, bicycles, stylish and exotic architecture from the past and present, historic churches, a hilltop castle, scenic ruins, art galleries, boutiques, a plethora of cafés, and a wild nightlife brimming with activity. 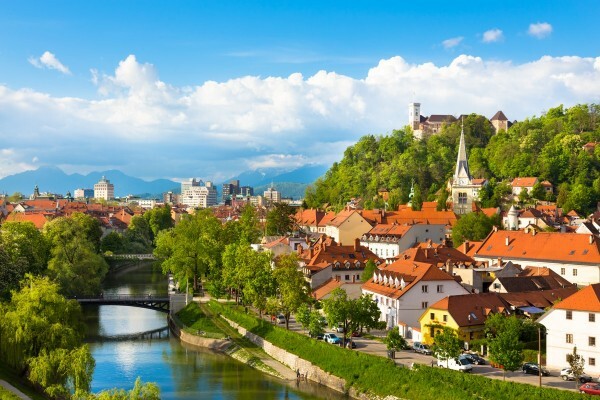 Nestled in an Alpine valley at the crossroads of historic trade routes across Europe, Ljubljana might be a capital city but it is very cheap by European standards. Explore the buildings and works of local talent Jože PleCnik who brought back the Art Nouveau style he learned in Vienna and Prague to transform his native city, designing The Church of St. Francis, the National and University Library, the chamber of commerce, and a number of banks, bridges, and parks along the café-lined waterfront of Ljubljanica River. Small rooms and beds in hostels can be found for under $20/night. The city’s bike friendly streets make sightseeing a breeze. Rent a bike for around $5/day. Off the backpacker trail of Bucharest and Transylvania is the Bukovina region, once the center of the Principality of Moldovia. The region is split between a mostly Ukranian population in the hilly north and a Romanian population in the lowland south. Nestled among the gentle hills and small villages are a number of painted monasteries most of which have been nominated as World Heritage Sites. Many houses in the region will rent rooms to travelers, and some of the monasteries will rent rooms for only a few dollars. You can rent a car at the Bucharest Airport for about $20/day. Forget about the 21st and 20th centuries and explore this pastoral region of timeless villages, donkey carts, wooden churches, and medieval peasant life. Cut off by a fortress of mountains, Maramureş exists today much as it has for hundreds of years. Functioning as a sort of living history, it makes an idyllic retreat from the modern world. Enjoy traditional life, good music, and plum brandy in the company of the incredibly friendly locals. There are five UNESCO listed wooden churches in the region, more than 60 villages, and the only narrow gauge industrial steam train still in use in Europe operates through the region’s Vaser Valley. It’s hard to imagine a city more mesmerizing than Istanbul. A boat ride down the Bosphorus Strait that splits the metropolis is dotted with turrets and ancient domed mosques, city lights and fisherman bringing in the days catch. 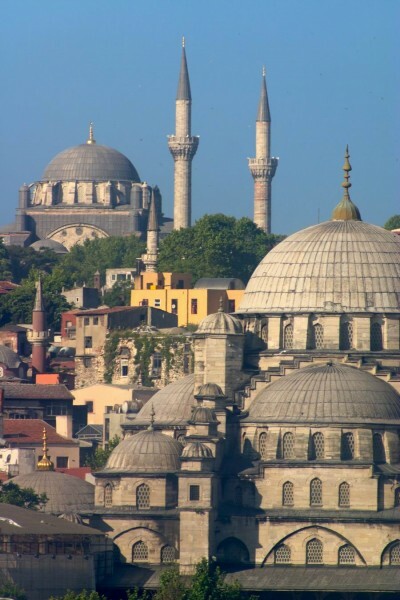 But Istanbul is also modern with a thriving theater and art scene, cutting edge restaurants and a bevy of nightclubs. Spend the days touring the city’s plethora of outstanding museums; Byzantine and Ottoman architectural wonders like the Hagia Sophia, Topkapi Palace, and the Blue Mosque; shop till you drop in the many bazaars; or stroll through the picturesque neighborhoods of Kadıköy and Üsküdar. At night smoke narghile and sip coffee in a café, eat at one of the city’s numerous budget restaurants, or go club hopping with the Turkish youth. Despite the fact that Isatnbul has become one of the hippest cities in the world, it still has a bevy of cheap accommodations in the $20-$40 range. Hundreds of small tranquil islands line the dazzling Adriatic coastline of Croatia, making it a beach-lover’s paradise. It would be easy to while away years island-hopping from one stunning place to the next. However, if you are pressed for time be sure not to miss Korcula, the birthplace of the renowned traveler Marco Polo himself, and enjoy a little bit of the easy life. During the day Korcula can be a bit touristy, but by evening most of the tourists have gone. Relax in the gentle sea breezes and enjoy this picturesque walled city’s many cafés, narrow alleyways, and cheap accommodations. There are a number of hostels charging less than $20/day. Cappadocia in central Anatolia is best known for its moon-like landscape with underground cities, churches and cave dwellings carved into the dew drop rock formations and cliffs. Hike through the region from one eye-popping valley to the next, visiting a wealth of ancient frescoed churches and homes, and relax each night before a majestic sunset over the dizzying landscape. There are a number of budget boutique hotels throughout the region offering rooms at affordable rates. Or spend the night in one of the many cave dwellings for a more immersive experience. 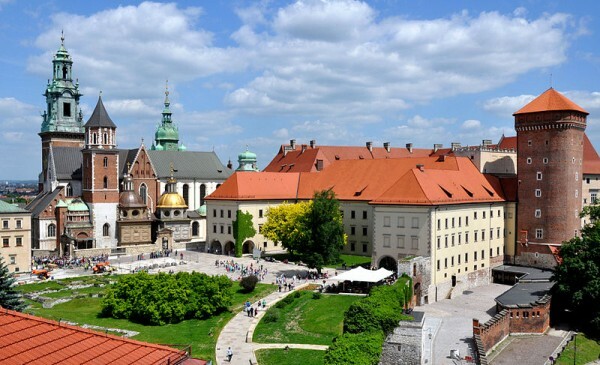 Kraków could easily rival Prague, Budapest or Vienna in terms of charm, culture and prices. Despite a precipitous climb in prices in recent years, pints of beer still cost around $2 and accommodations can be found for less than $20/night. Located on the banks of the Vistula River, Kraków’s Old City offers some of the prettiest sightseeing in all of Europe with the majestic Wawel Castle and the Rynek Glowny, one of the largest medieval squares in the world. The city’s many milk bars serve up hearty meals for less than $5. Tallinn remains one of Europe’s most enchanting cities. The UNESCO World Heritage listed Old Town blends cobbled streets, 14th century Baroque churches, modern art galleries, breezy patio cafés, unique boutiques, artisan craftsman, stylish lounges, and sweaty nightclubs hidden in the carved stone walls. Stay in converted centuries old merchant houses for around $40/night, retreat from exploring churches and scenic ruins in the afternoon to one of the city’s many cafés and art-deco patisseries, attend a classical recital, or take in a little shopping at an artisan glassblower’s shop and discover the infinite charms of this bucolic destination. Five centuries of Ottoman rule and four decades of Soviet control left its mark on Sofia in the form of mosques and monuments to the Red Army. But Sofia today is quickly branding its own vibrant and unique culture. Amid the onion domed churches, mosques, and statues of stern Soviet soldiers are glitzy shopping malls, five-star hotels and flashy dance clubs. A fascinating blend of East meets West. Sofia is quickly becoming more expensive, but still remains a budget location. Prices drop precipitously after you leave the city, but budget accommodations can still be found in Sofia for under $20/person. A little slice of holiday heaven, the Algarve region in southern Portugal is a sun-drenched blend of warm beaches, walled towns, and rural charm. 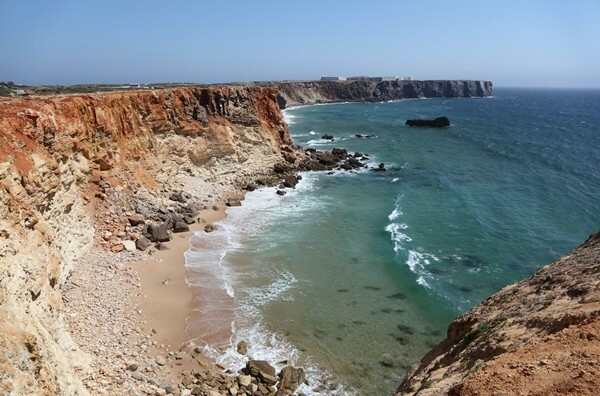 Party it up in the vibrant cobbled streets of Lagos, explore the castle ruins and winding streets of Tavira, the orange roof topped houses of Silves, or explore the natural wonders of Parque Natural da Ria Formosa south of Faro. Portugal has gotten relatively expensive in the last several years, but pleasant accommodations can still be found all over Algarve for under $50 a night.